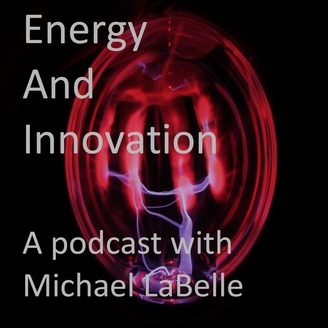 The podcast is focused on speaking to innovative leaders creating a better energy system. We hear stories of how technology, innovation, society and business come together to create a sustainable energy system.Dr. Michael LaBelle is an associate professor and the Jean Monnet Chair in Energy and Innovation Strategies at Central European University. He’s been blogging on the energy sector for over a decade and is now launching a podcast to examine in a new way the current energy transition. 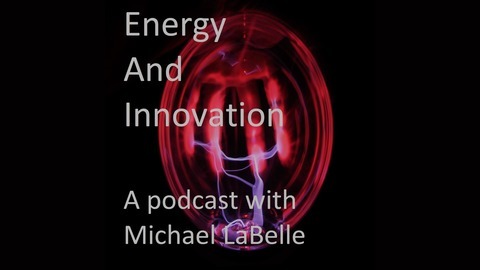 In this episode of the energy and innovation podcast I speak with Simon Pirani, a senior visiting fellow at the Oxford Institute for Energy Studies. Simon is author of many studies and books on energy and history, notably a very good report on the Russia-Ukraine 2009 gas dispute that came out soon after the conflict was resolved.Our discussion today centers on two recent publications of Simon's. The first, is an update on the transit of Russian gas through Ukraine after 2019, published by the Oxford Institute for Energy Studies. It has been 10 years, since the shut-down and Simon and I reflect on what has been done and what are the future threats. His latest report outlines the ongoing conflict and how any gas agreement between the two countries will be kept on a very short leash, posing potential shutdown threats for transit gas to Europe. We also discuss Simon's new book, Burning up: A global history of Fossil Fuel Consumption, published in 2018 by Pluto Press. Some of the key take-aways of this episode include:Russian gas comes with political conditions. The 2009 crisis stemmed from Soviet era gas policies and the deteriorating political conditions between Russia and Ukraine.How cheap gas enabled Soviet citizens to have a higher quality of life in the citiesThe Annexation of Crimea was a reaction to Ukrainian politics which Russia found working against its interests.The centrality of fossil fuels for our economies is under appreciated by those looking for using more renewable energy and the hypocrisy of leaders discussing how to reduce carbon emissions, while our use of fossil fuels continues to increase.The technological decedents of our transport system, the car and truck, are still fundamentally rooted in the industrial revolution. Inefficiency turned into a mass consumer product. And governments are not hard enough on companies to innovate and increase efficiency in transport.For more of Simon's publications visit his website.